Stating that the manner in which the law was being “pushed” was “grossly un-constitutional, un-democratic and un-Indian”, he said Hazarika would have never endorsed it. “For his fans—a vast majority of people of the Northeast—and India’s great diversity including all indigenous populations of India, he would never have endorsed what appears, quite transparently, to be an underhanded way of pushing a law against the will and benefit of the majority in a manner that also seems to be grossly un-constitutional, un-democratic and un-Indian,” said Tej Hazarika, who lives in the US. About the award of Bharat Ratna on his legendary father, he said Bharat Ratnas and longest bridges, while necessary, “will not promote the peace and prosperity of the citizens of India”. It may be recalled that Prime Minister Narendra Modi recently inaugurated Bogibeel Bridge — the country’s longest railroad bridge — in Assam. While he did not say he would “accept” or “reject” the Bharat Ratna, Tej Hazarika had in September 2014, when Bhupen Hazarika turned 88, said his father deserved a Bharat Ratna for his works and legacy of unity and harmony. 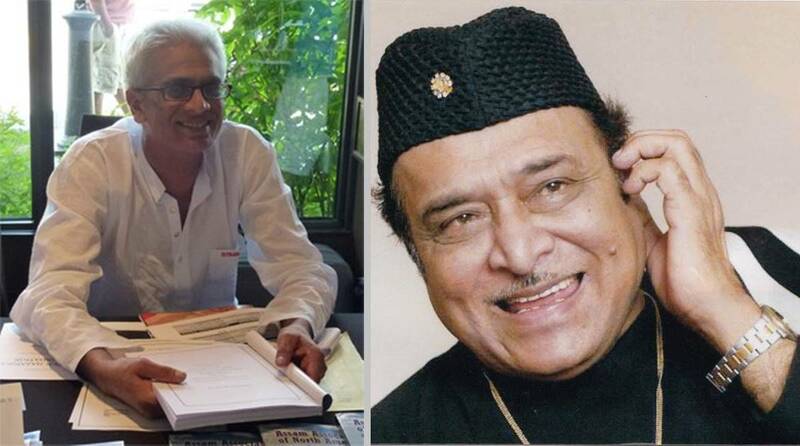 Meanwhile, Bhupen Hazarika’s brother and prominent singer Saumer Hazarika and his sister-in-law and popular singer Manisha Hazarika told the media that the family had neither rejected the award nor criticised the Centre for conferring the Bharat Ratna posthumously. “Tez has not contacted me on the issue of his Facebook post today. We as Bhupenda’s family have welcome the Bharat Ratna award to him. We had attended the Assam government’s programme celebrating the conferring of the honour to my brother who always stood for unity of the people of the Northeast and the country,” said Saumar Hazarika.